Thank you for visiting our website! Serving the community since 1987, here you will find information about all of our services from sales to lessons, rentals and repairs. The STORE page will take you to our online inventory. Here you can find a list of several instruments we have for sale, as well as available sheet music and accessories. The LESSONS page will provide information on our lesson program, as well as bios of our highly qualified teachers. The RENTALS page lists all of our rental instruments and general pricing for one month rentals. The REPAIRS page lists several repairs that we handle and can help calculate the cost of having our trained staff fix your instrument. 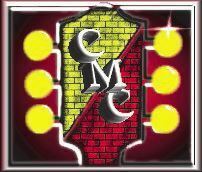 The STAFF page gives a brief introduction to the staff who will help with all of your questions and sales here at CMC. The CONTACT page allows you to send us an email with any questions you may have. We check our email regularly and respond to questions as quickly as possible. Click here to find out more about our store! ¿Habla español? Llámenos y pregunte por Mary para ayudarle en español.